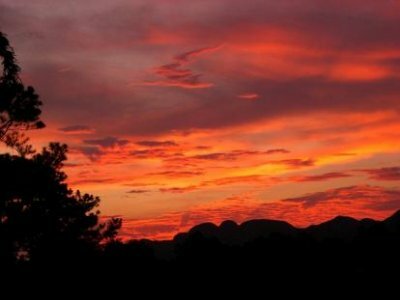 This is where life pulsates! 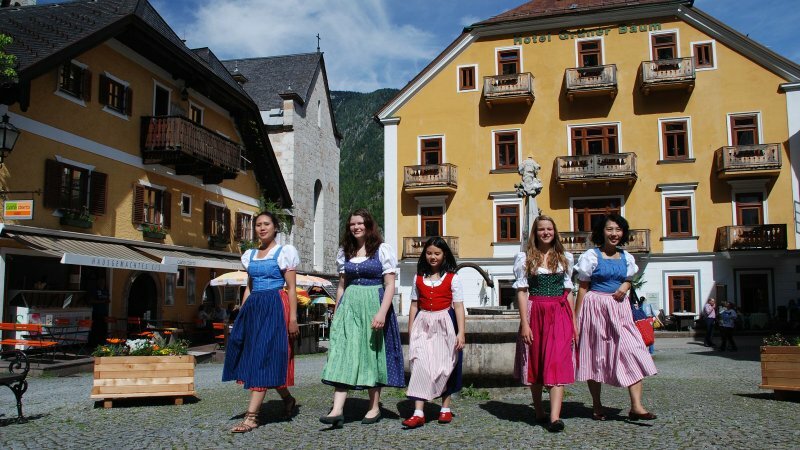 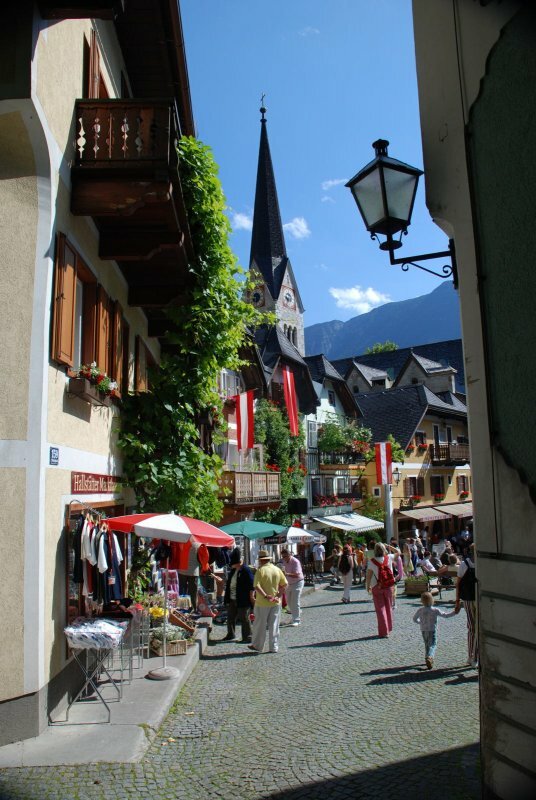 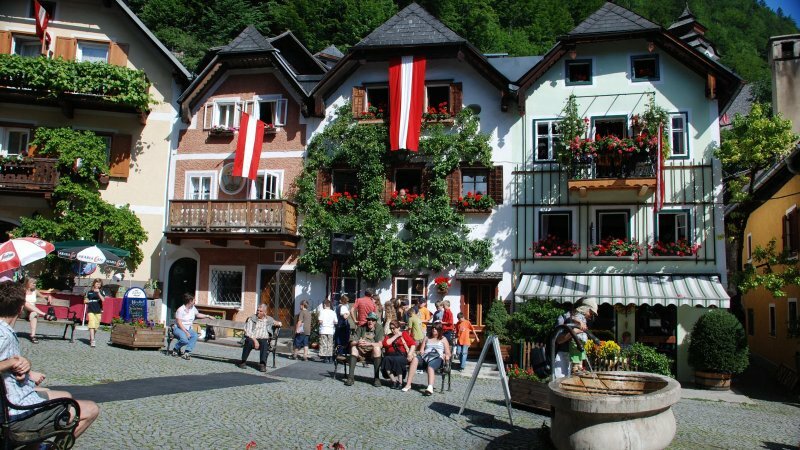 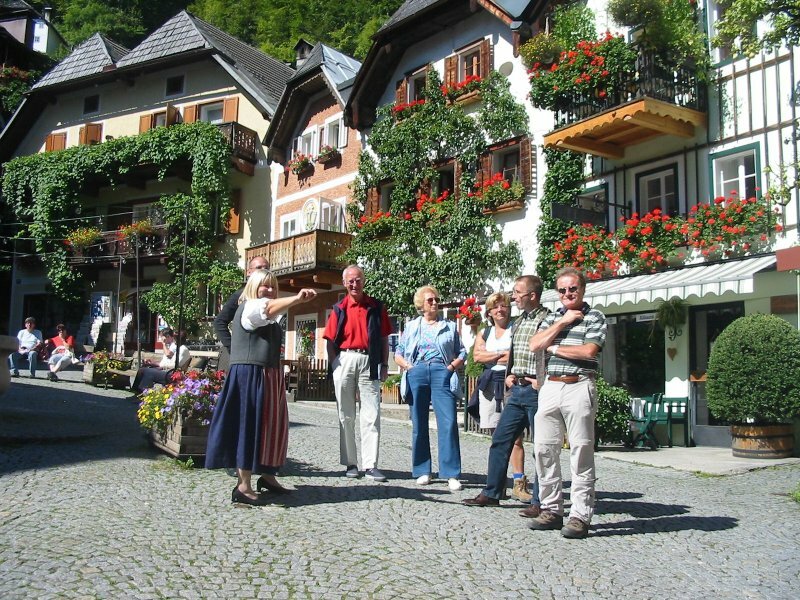 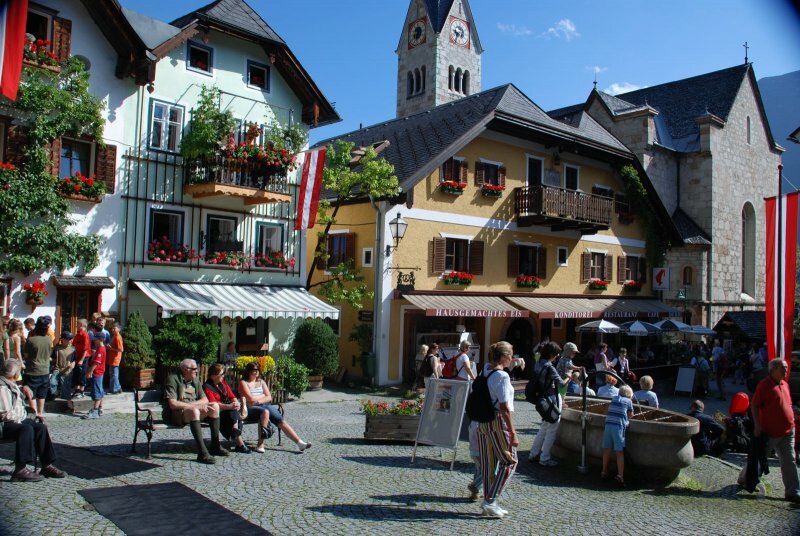 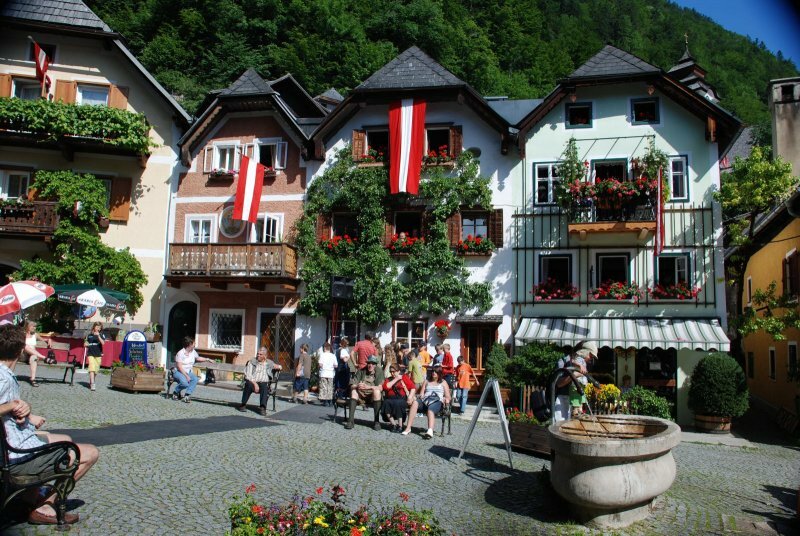 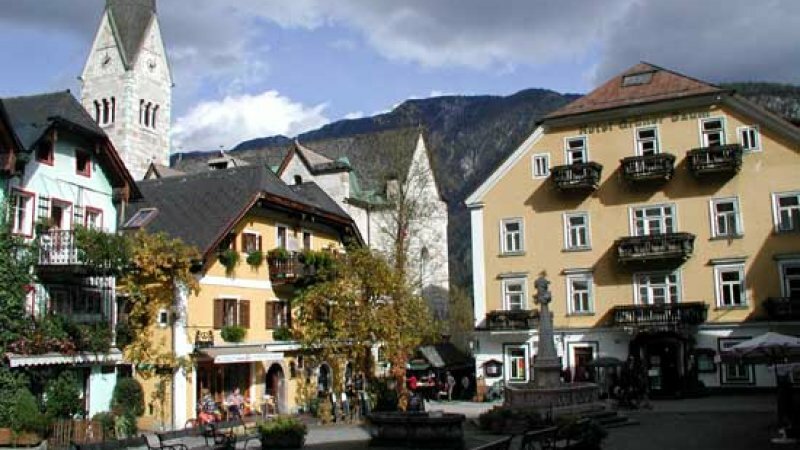 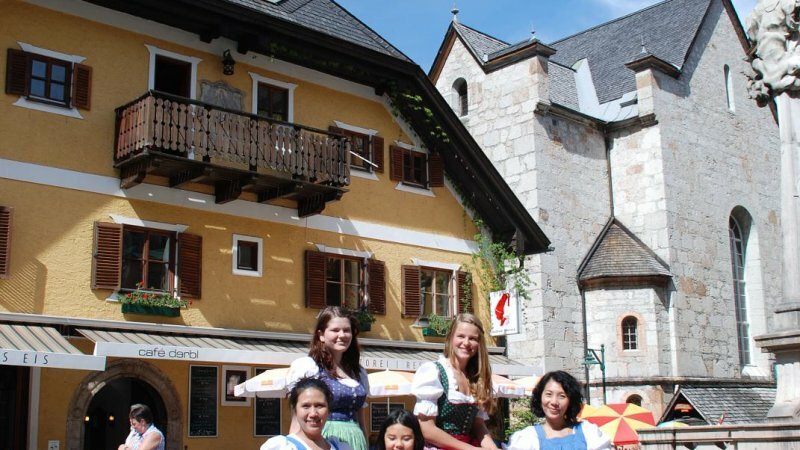 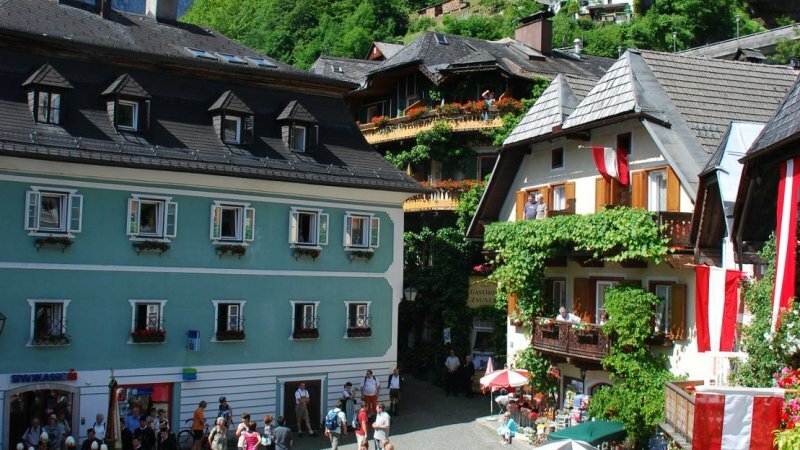 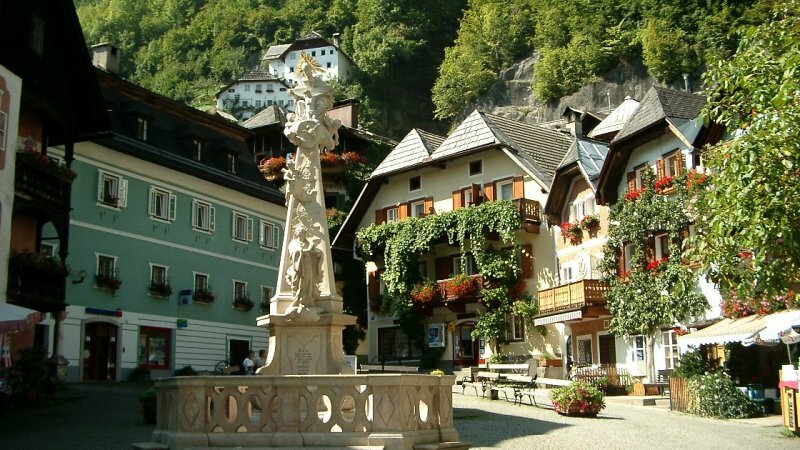 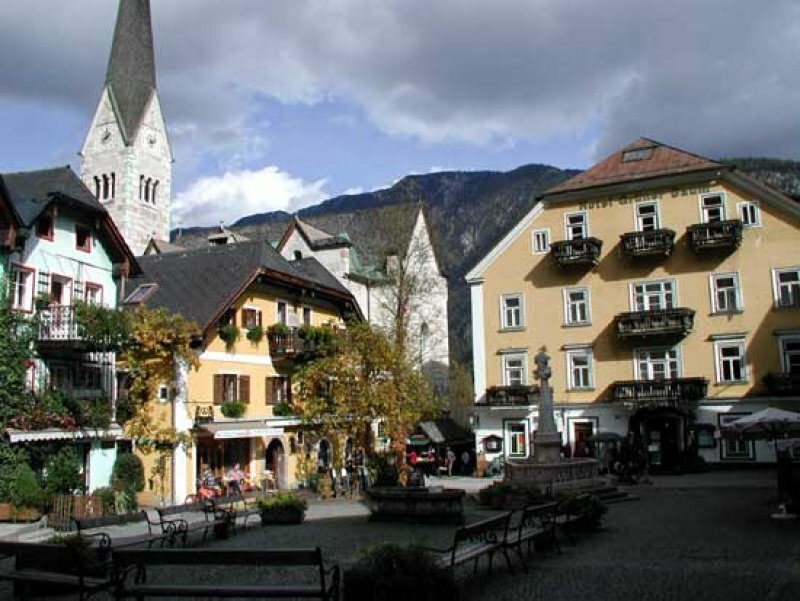 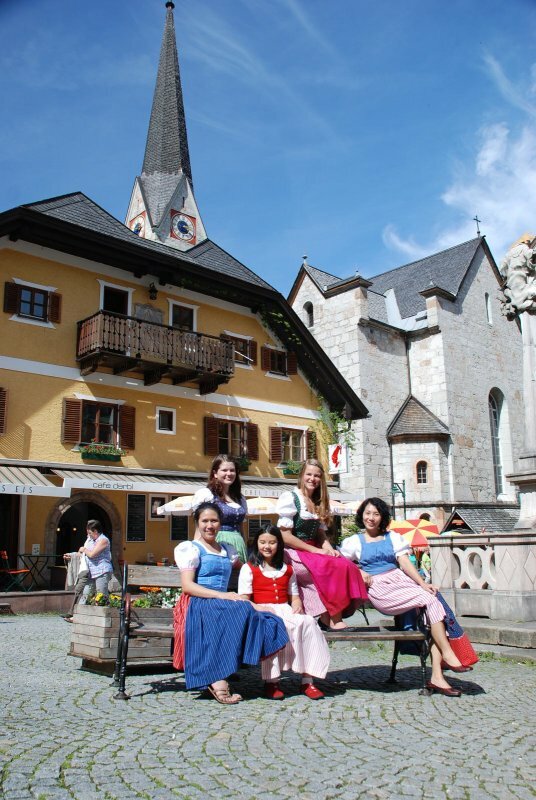 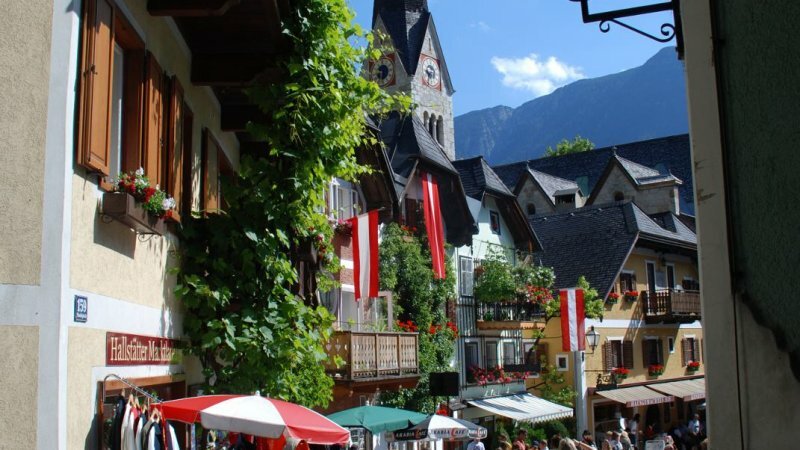 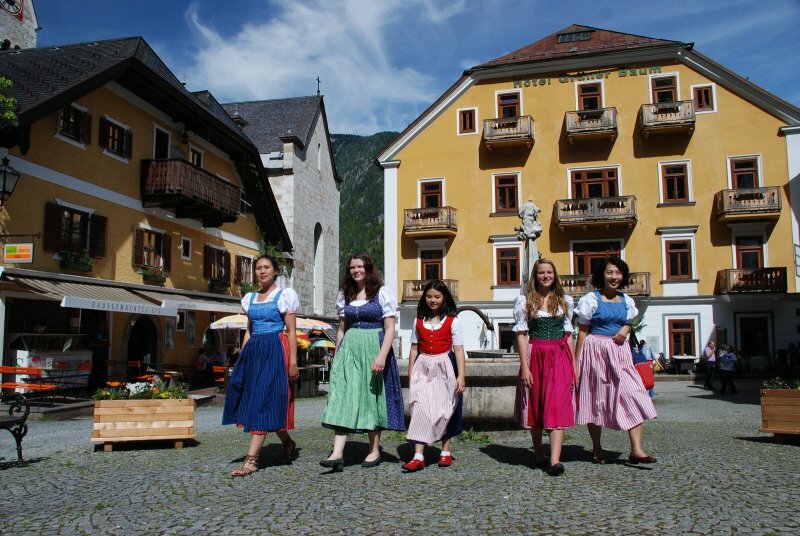 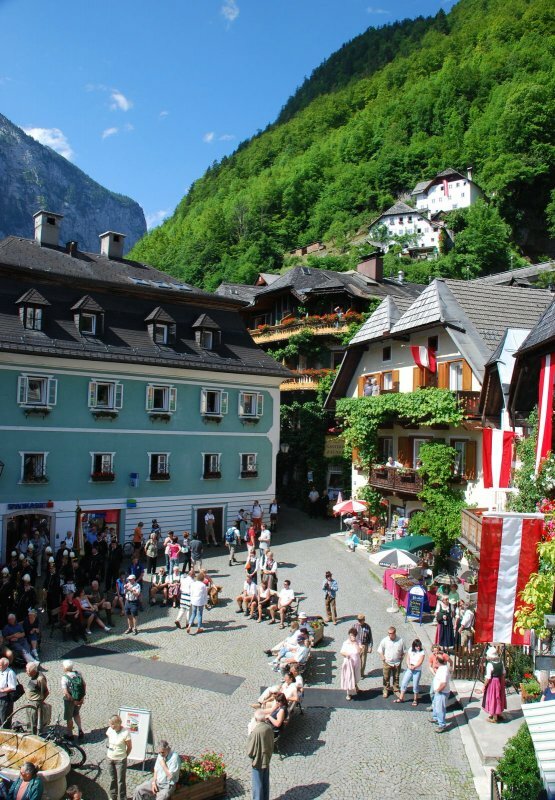 The market square of the UNESCO World Heritage town is definitely one of the nicest places in Hallstatt. 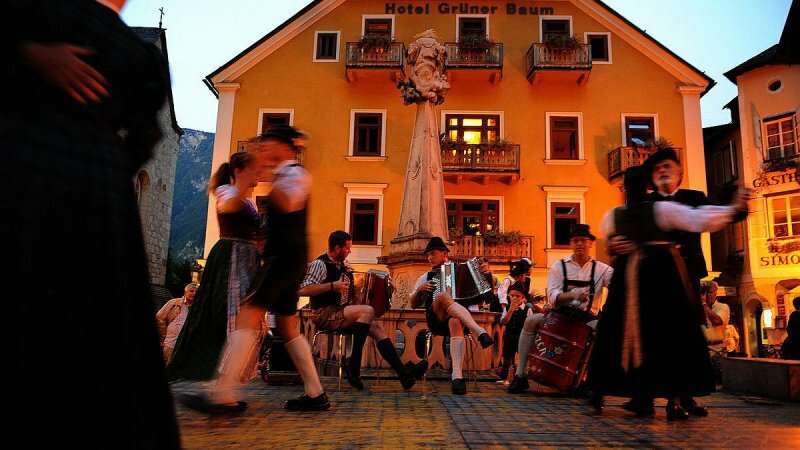 Each year guests, from around the world, meet at the historic square, surrounded by picturesque little houses. 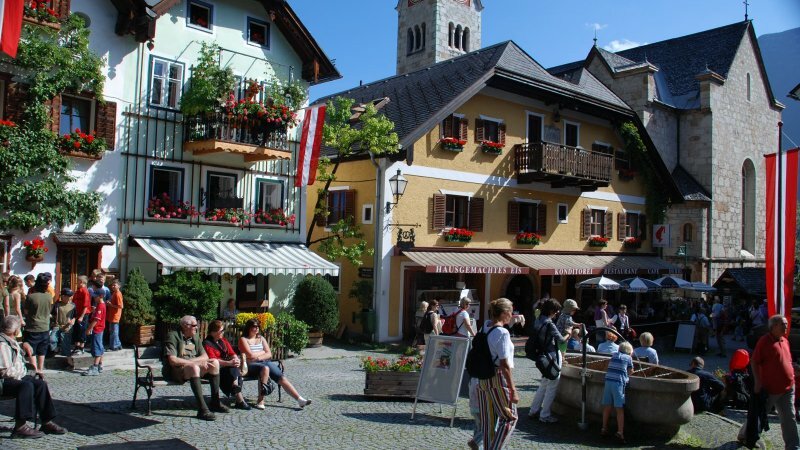 I Here visitors will find cosy cafes to relax in, restaurants, a bar popular with the young and old, hotels and of course souvenirs. 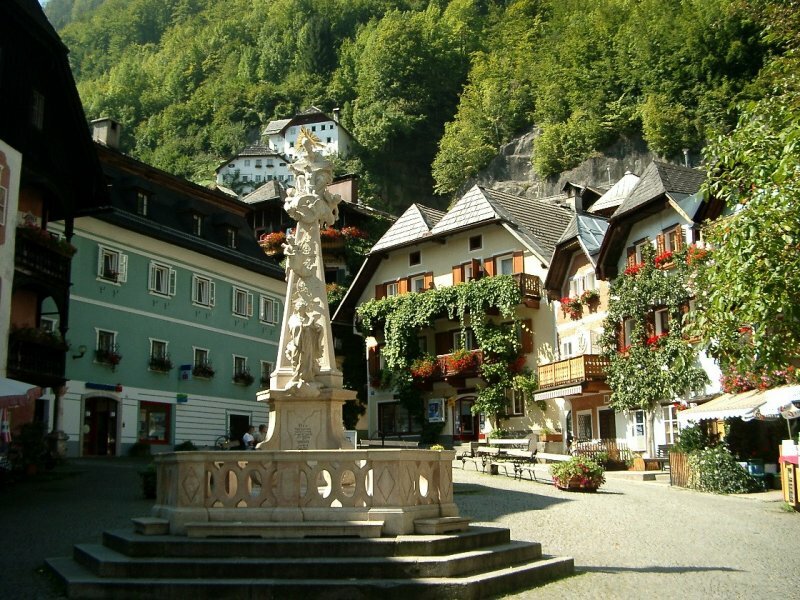 In the centre of the square stands the mighty Holy Trinity statue, which after 6 years after erection experienced one of the Hallstatt’s greatest disasters: On the 20th September 1750 a blaze spread from the “Keferbäcks” house, which is now the site of Café Derbl, and reduced the majority of the square to ash and rubble: Four people died and 35 houses in the town centre went up in flames. 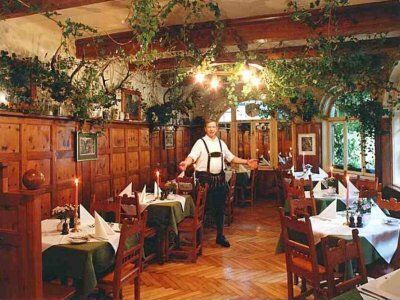 The total cost of damage caused by the devastating fire in the currency of the time: 32,025 guilders. 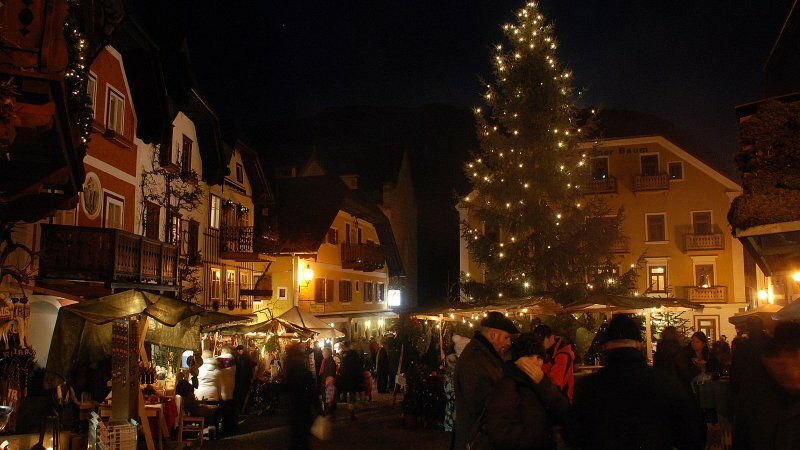 There is always something happening on the market square! 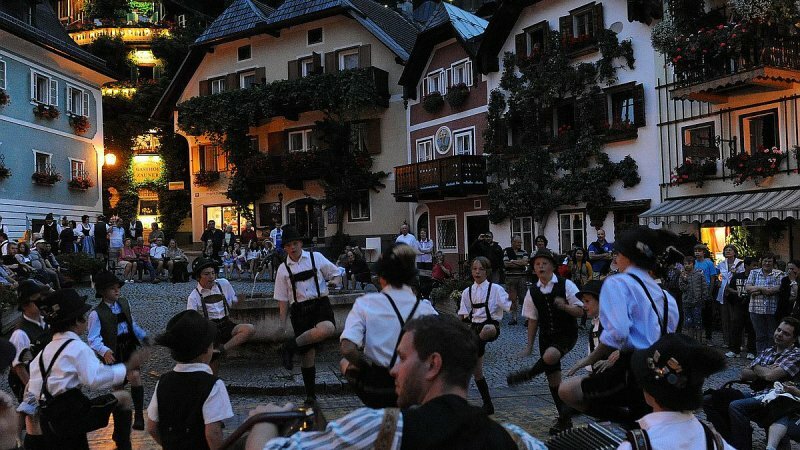 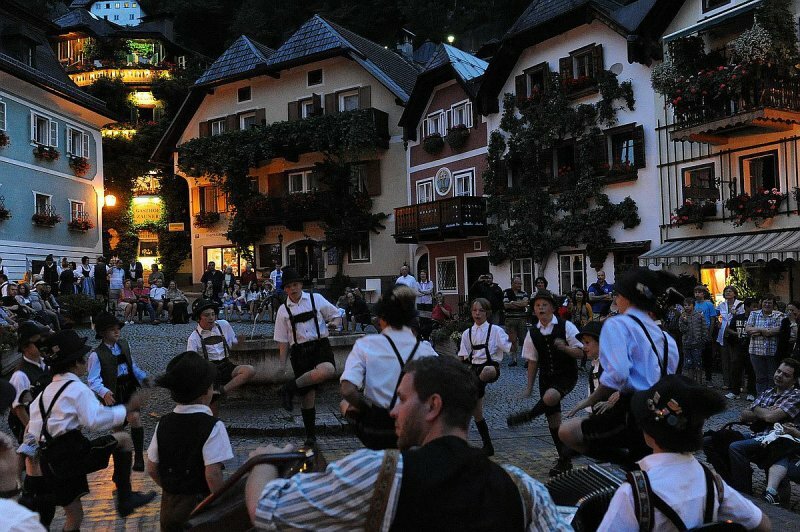 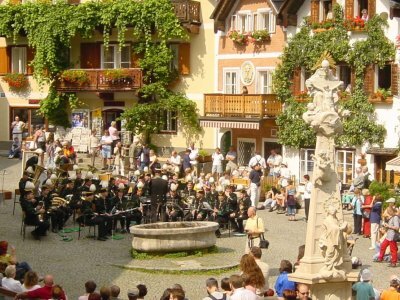 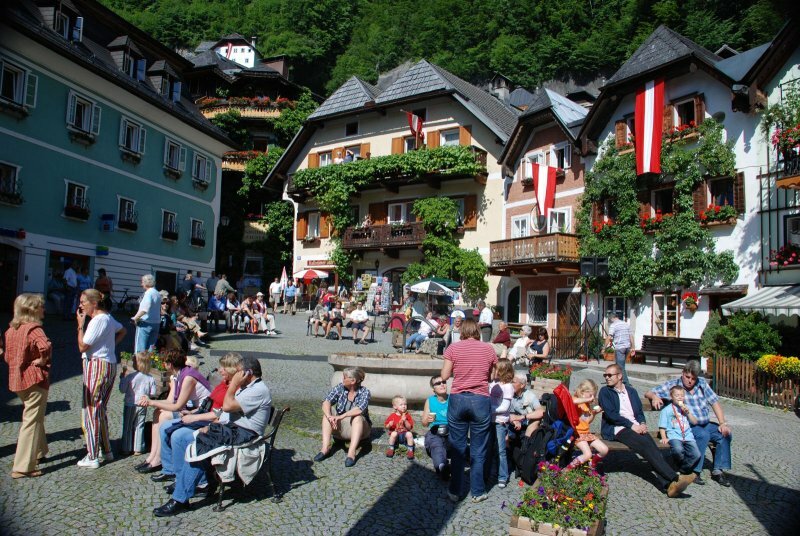 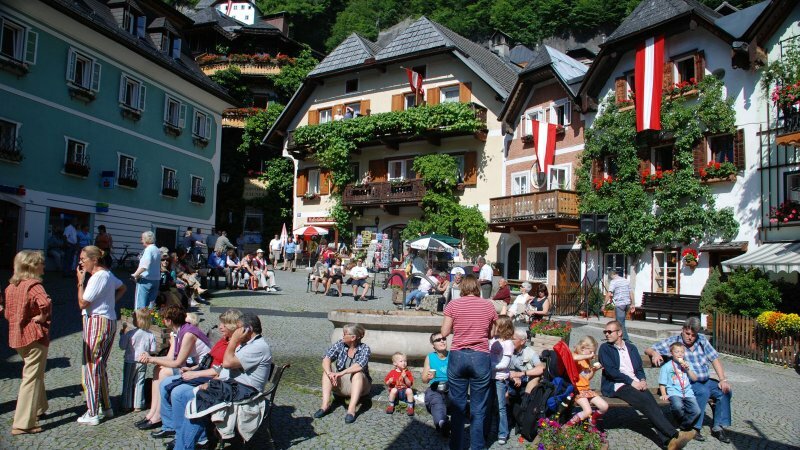 Each year, the market square is a venue for many events: In Spring the square is a station of traditional Hallstatt Corpus Christi procession, which in good weather is then continued on the lake; in summer there are many concerts from the Saline band, cultural evenings, and the large Hallstatt children's party at the end of July. 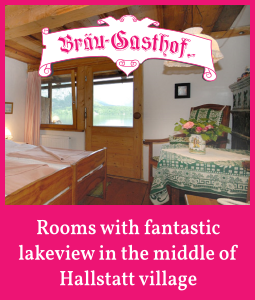 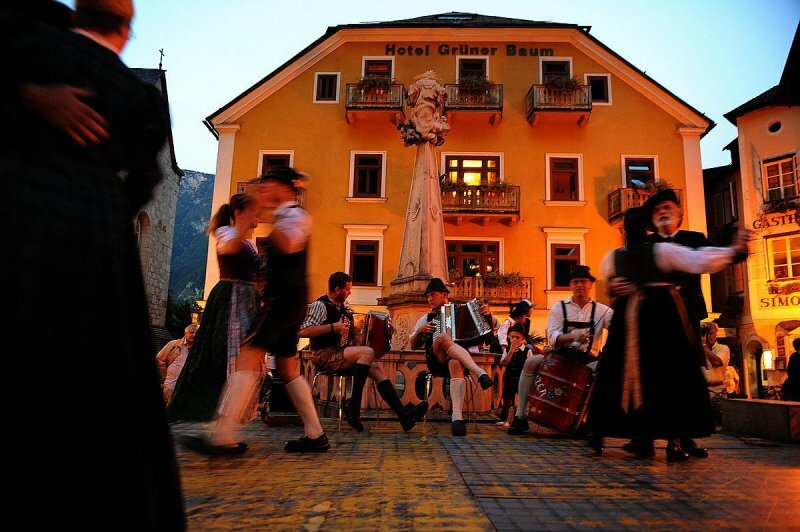 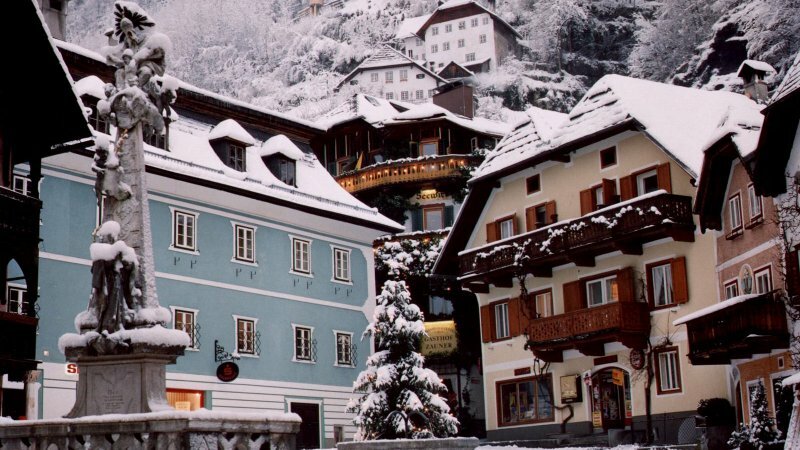 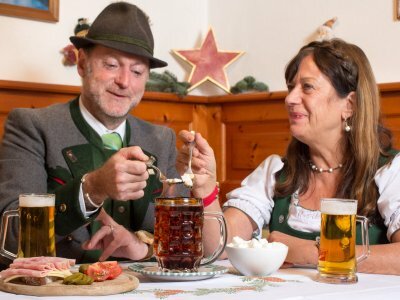 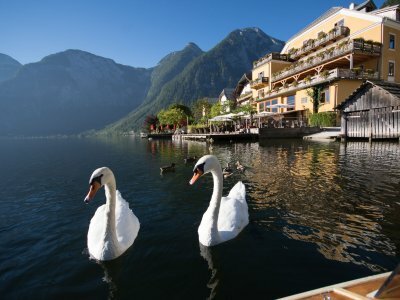 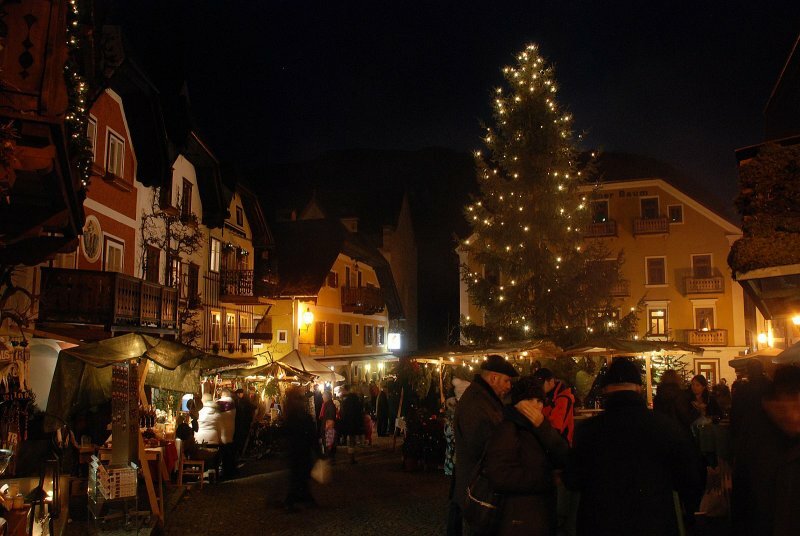 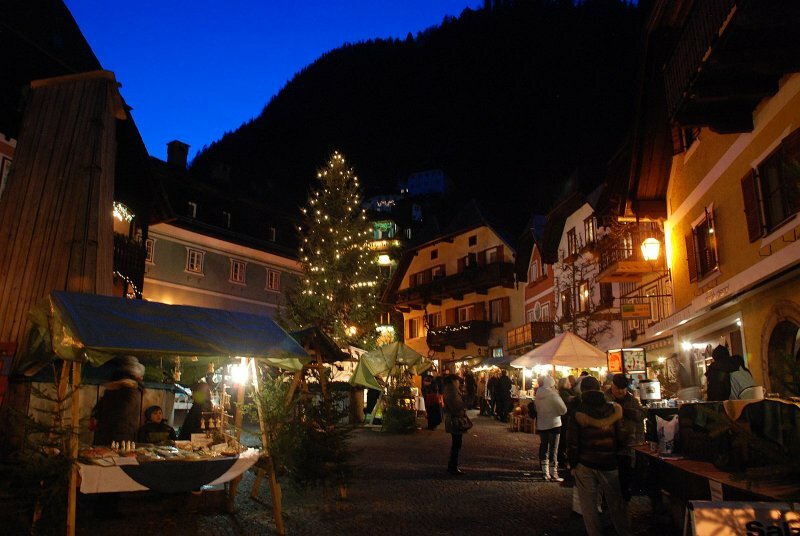 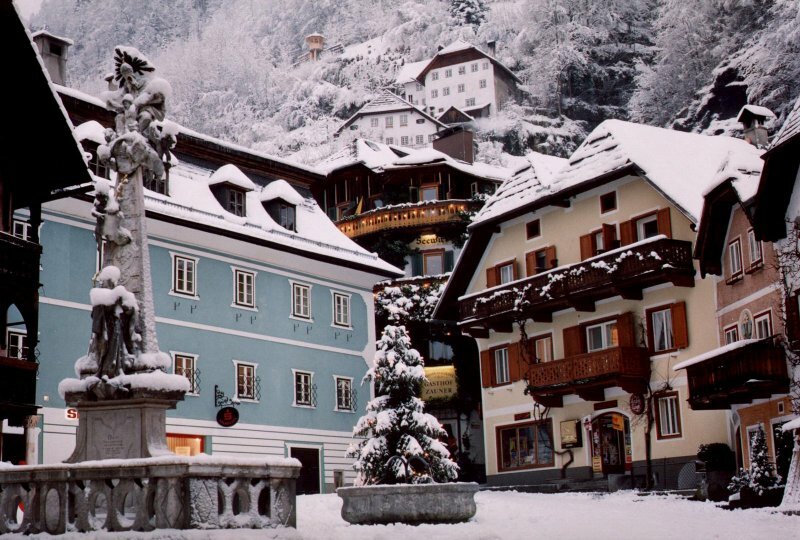 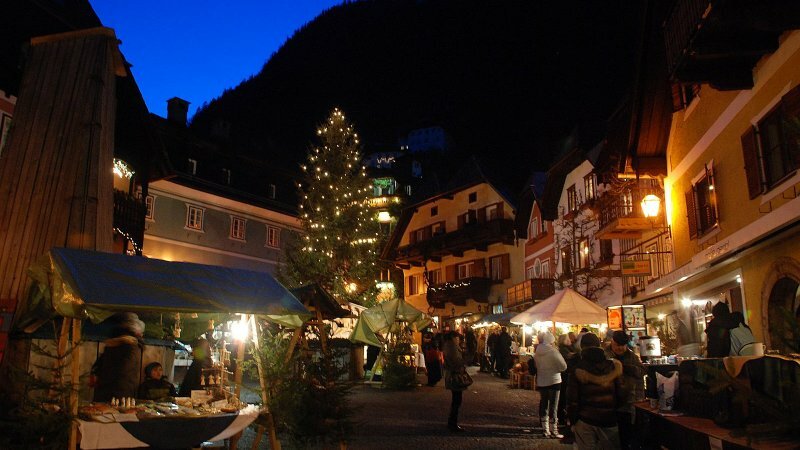 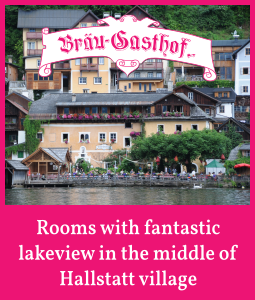 It becomes particularly romantic during Advent: the Hallstatt Christmas Market, on the 8th December, enchants both young and old visitors from around the world, with its pre-Christmas festive ambiance. 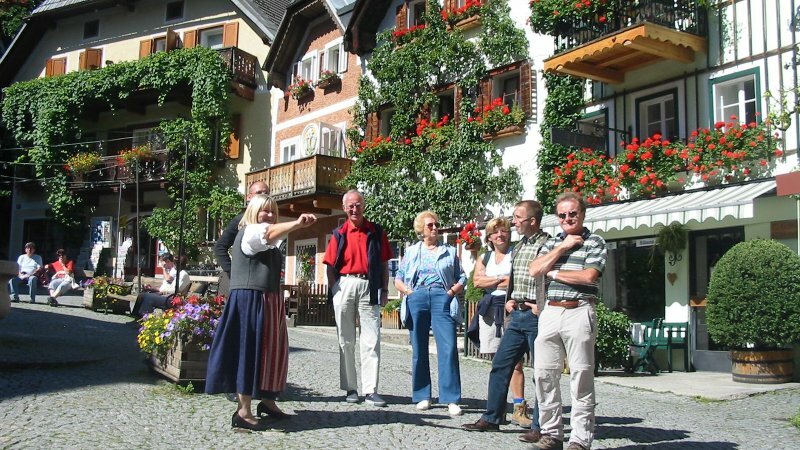 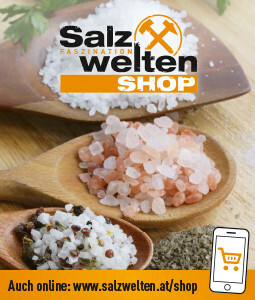 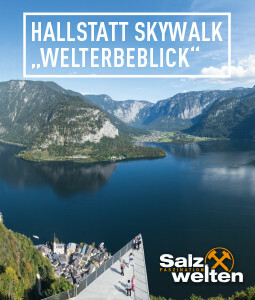 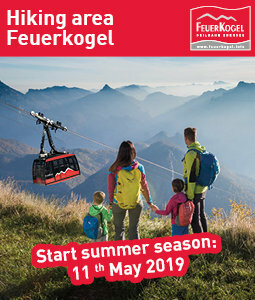 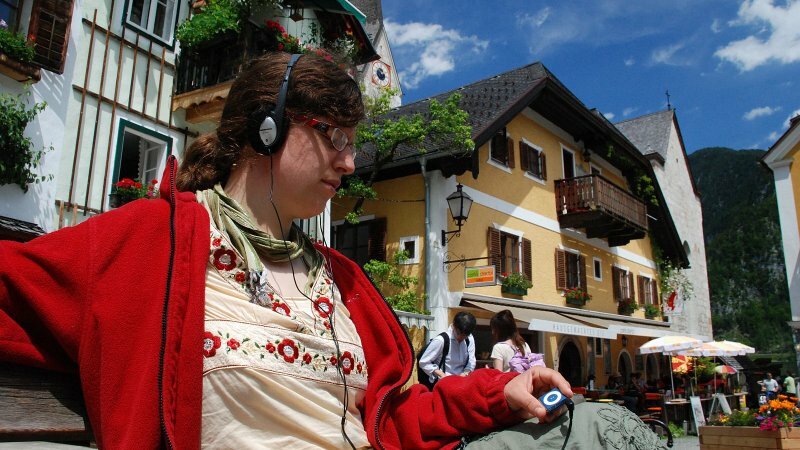 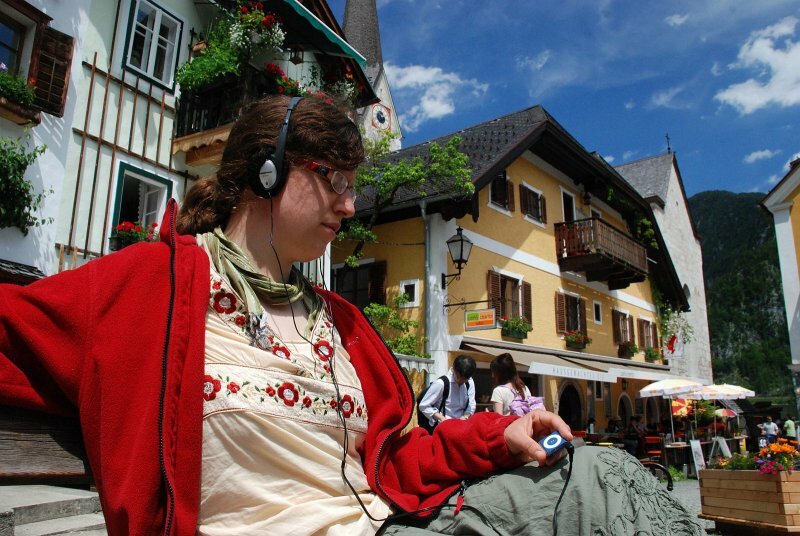 Our tip: Discover the market square and the Hallstatt centre on a guided tour or independent of time and weather with an audio guide.